Mengmeng Gu earned her BAgr in Landscape Horticulture and MAgr in Ornamental Horticulture from Beijing Forestry University. She received her PhD in Plant Science/Horticulture from the University of Arkansas. 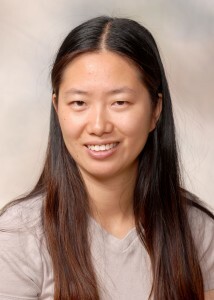 From 2006-2011, Dr. Gu served as Assistant Professor and Extension Specialist at Mississippi State University and in January of 2012, Dr. Gu became Assistant Professor and Extension Specialist at Texas A&M University. She is also a member of the Graduate Faculty of Texas A&M University and can serve as a Chair, Co-Chair or Member of Graduate Student Advising Committees. Dr. Gu’s specializations are ornamental horticulture, landscaping, plant stress physiology, and sustainable agriculture.